Our team at the University of Maryland’s Institute for Advanced Computer Studies has created a new multifaceted approach to combat poaching in Africa and Asia. We devise analytical models of how animals, poachers and rangers simultaneously move through space and time by combining high resolution satellite imagery with loads of big data – everything from moon phases, to weather, to previous poaching locations, to info from rhinos’ satellite ankle trackers – and then applying our own algorithms. We can predict where the key players are likely to be, so we can get smart about where to deploy rangers to best protect animals and thwart poachers. The real game changer is our use of unmanned aerial vehicles (UAVs) or drones, which we have been flying in Africa since May 2013. We’ve found that drones, combined with other more established technology tools, can greatly reduce poaching – but only in those areas where rangers on the ground are at the ready to use our data. A rhino with her highly desirable horn. In the past 10 years, the poaching of elephants and rhinos has increased exponentially, primarily because it’s a very lucrative criminal business. Rhino horns can fetch more than US$500,000 or over $50,000 per kilogram – this is more than the cost of any illegal narcotic – and a pair of elephant tusks can reach US$125,000. Most of these illegal activities are run by Asian criminal syndicates and there are well-founded beliefs that some of these proceeds are being funneled to political extremists in Africa. Technology is a marvelous tool but it must be the right solution for a particular problem. Engineering solutions that might work with the US military looking for people planting IEDs in Afghanistan will not necessarily work in the African bush, at night, searching for poachers. The most challenging question about how UAVs are used in Africa is when and where to fly them. Different types of UAVs work in various challenging situations. Africa is too big to be simply launching small drones into the night sky with the hope of spotting rhinos or poachers by chance. This is where the analytical models come into play. Based on our models, we know, with near 90% certainty, where rhinos are likely to be on a particular night between 6:30 and 8:00, prime time for killings. At the same time, by mathematically recreating the environment when previous poachings have occurred, we have a very good idea of when and where poachers are likely to strike. For example, a large proportion of poachings occur on the days around a full moon; it makes sense since that’s when poachers can easily see their prey. In one area where we have months of experience, we discovered that nearly every poaching occurred with 160 meters of a road. It’s simple. The poachers are driving the perimeter of the park in the late afternoon spotting animals near the park fence; they return just after sundown, kill the animal and drive away. We pile on the data, and the algorithms do the rest. 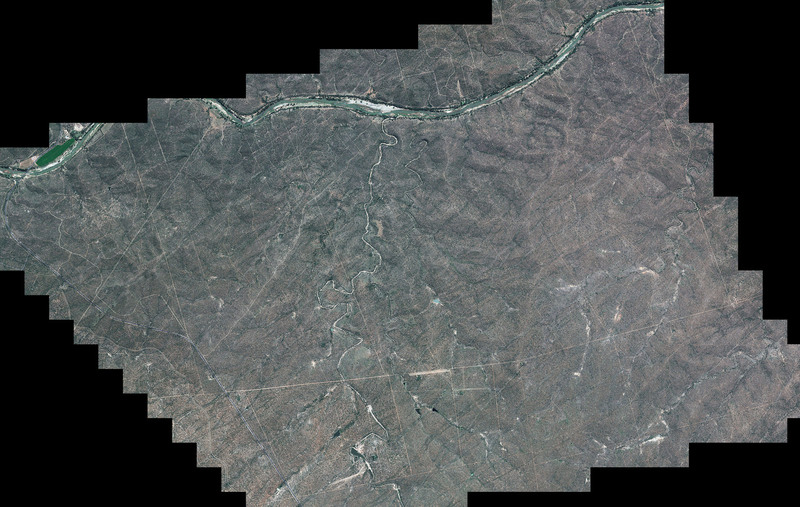 Topical satellite image of the terrain rangers are trying to cover. The key is that the satellites, the analytics and math, and the UAVs are integrated into a solutions package. We crunch the data, and the model tells us precisely where we should deploy our rangers, on any specific night, so they will be in front of the rhinos and can intercept the poachers before they reach the target animal. After all, there’s no value in rangers patrolling parts of the park that these animals are unlikely to ever visit. Consider that South Africa’s Kruger National Park is the size of the state of New Jersey. Like a bank robber who robs banks because that’s where the money is, we want our rangers to be near the rhinos because that’s where the poaching is. On our first UAV flight in South Africa, the UAV flew to our pre-determined spot and immediately found a female rhino and her calf; they were within 30 meters of a major road. We decided to circle the drone over the rhinos and within minutes a vehicle stopped at the park’s fence. 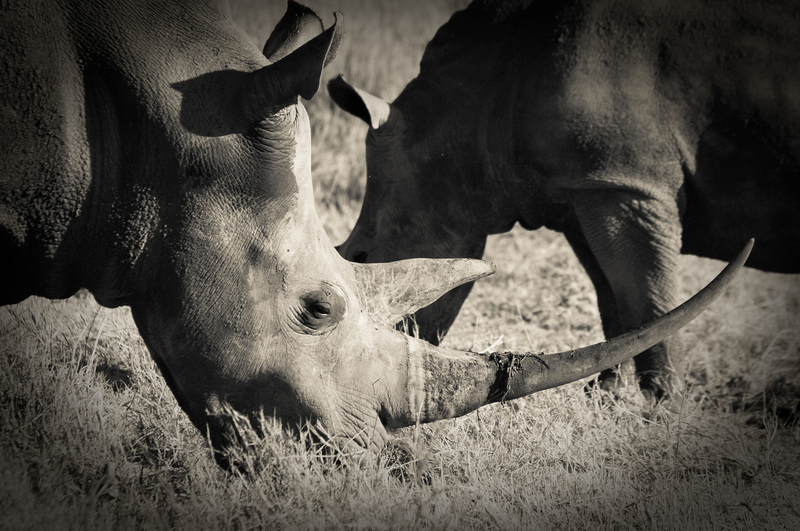 Three individuals exited the car and began to climb the fence to kill the rhinos. Our rangers had been pre-deployed to the area; they arrested the three poachers in under 3 minutes. This episode has been repeated dozens of times over the past 20 months. The most critical issue is not how far or how long a UAV can fly but how fast can a ranger be moved, in the bush at night, to successfully intercept poachers. The UAVs are simply our eyes in the night sky. Watching their live infrared video streams, we move our rangers as if they were chess pieces. Even with great math, we have some variance and that means we might be 200 meters off a perfect positioning. 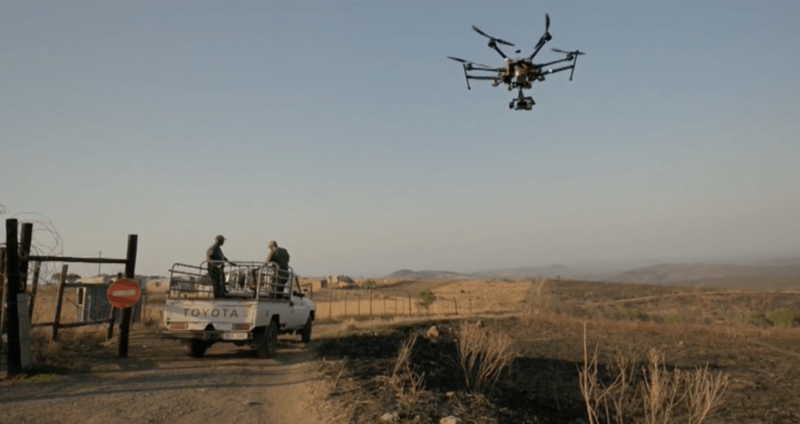 The UAVs can see poachers at least 2 kilometers from the rhinos. So we have 45 minutes to move our people into the most optimal position – based on our real world trials on how quickly they can move through the bush at night. 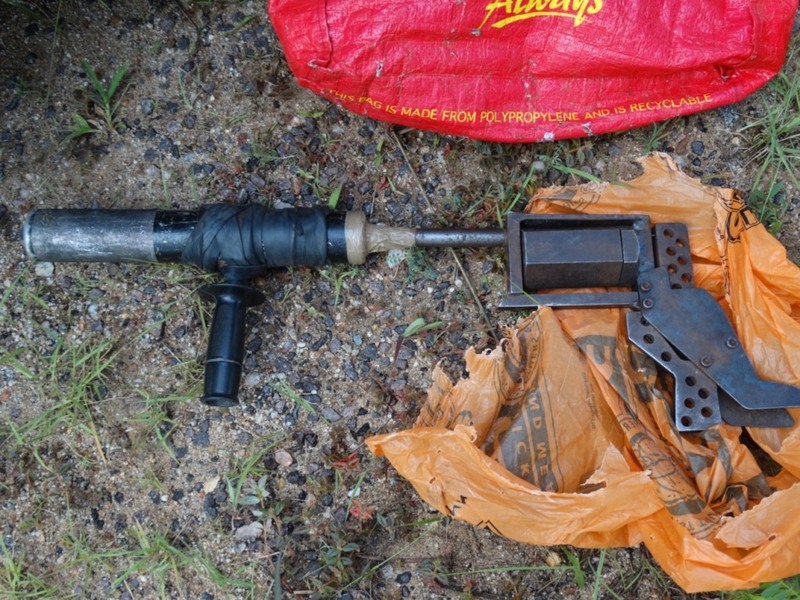 A poacher’s confiscated homemade gun. We’ve had hundreds of night flights with over 3,000 flight hours in the past 20 months and here is what we’ve learned. First, on the first few days after we begin operating in a new area, we arrest a number of poachers and they’re being prosecuted to the fullest extent of local laws. The most important finding is that in every area where we have put our solutions package to work and the UAVs are flying, poaching stops with 5 to 7 days. Period – it stops. Tonight we are flying in a very challenging area in southern Africa – we don’t identify our flight operations so as not to alert the poachers – and over the past 90 days, there has not been one single poaching incident. Four months ago, this region was losing several rhinos a week. Inside the mobile unit. Collaboration between high tech data collectors and on-the-ground local experts is key. Our solution to the poaching problem lies in the combination of satellite monitoring, great math, properly positioned rangers and UAVS flying precise flight paths. It works.